These grab and go biscuits filled with egg, cheese, sausage, and vegetables are easy to make and perfect for breakfast on the run or an elegant brunch. Preheat oven to 400 degrees (350 degrees if using Crescent Dough). 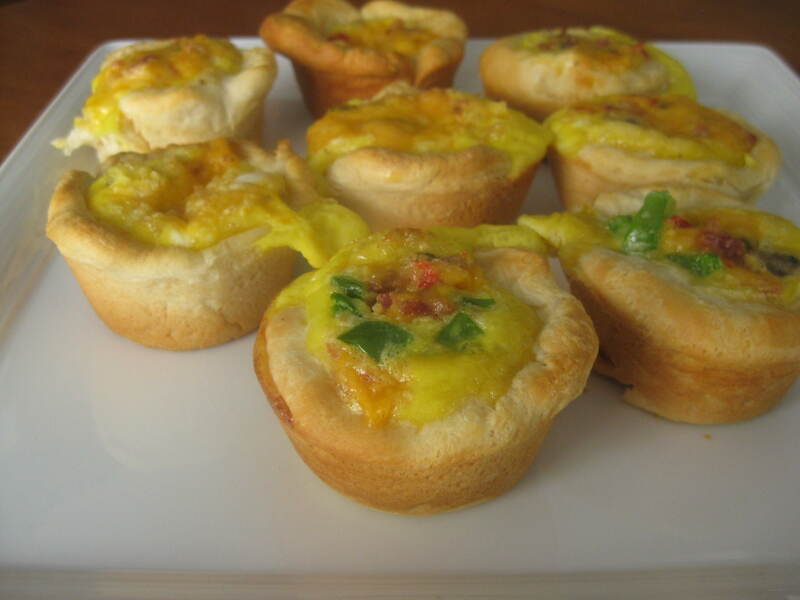 Spray muffin tin with non-stick cooking spray. In mixing bowl, beat eggs. Add milk and mix. Add salt and pepper. Brown meat and vegetables in skillet. Remove from heat. If using sausage or bacon, drain any excess grease. Now you’re ready to fill your biscuits. Add meat/veggie mixture to dough liners. Then add egg mixture (approximately 2 T each). Top with heaping teaspoon of Mrs. Grissom’s SELECT Old Fashioned Pimento Cheese. Bake (Biscuits) at 400 degrees for approximately 15-20 minutes or until brown. Note: you may want to place a cookie sheet underneath the muffin tin as these tend to spill over. Note if using Crescents: Bake (Crescents) at 350 degrees for 4 minutes prior to adding any filling. Remove from oven, fill with meat, egg and continue to bake until golden brown.